Salt is found in the oceans and Earth's surface. How do we collect this salt and separate it from the materials it is mixed with? Salt is found in oceans, lakes and underground rock beds. Salt lake water is pumped into ponds and the water evaporates to leave salt. Rock salt is found as a mixture of salt and clay and is then separated. Evaporation and separation allow us to use pure salt on our food. 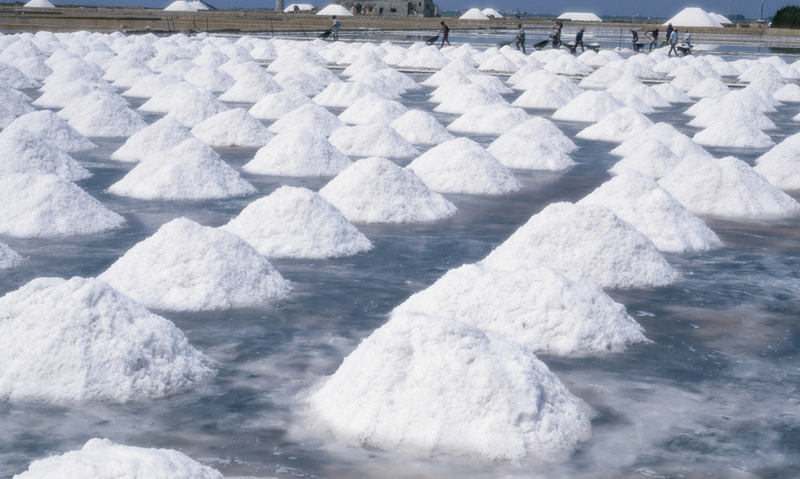 Salt is found naturally in oceans, lakes, and rock beds deep underground. Extracting it to obtain pure table salt requires chemistry on a large-scale. Some places lend themselves naturally to this extraction. Here in Utah, this incredible white land is one of the biggest expanses of salt in the world.